Although it still retains a unique identity, Vietnamese cuisine contains features from various sources. This includes neighboring countries like Cambodia, China, Thailand, and Laos. If you know a bit about banh mi, then you will also know there is a bit of French influence in the preparation of this dish. Some of the most recognizable Vietnamese dishes include banh mi and pho. Nonetheless, there are also many other options available. This article contains some of the best dishes which you can find on your next visit to Vietnam. You can also stop by a Vietnamese restaurant to try them out. If you find an article on Vietnamese cuisine without a mention of pho, you may want to find another. The correct pronunciation of this cuisine is 'Fu' and contains fresh rice noodles, chicken or beef, and herbs, in a salty broth. These ingredients are quite common in the local diet of the country. You can get this tasty meal at any time of the day and at a very cheap price. No matter where you find yourself, either in a street stall or a high-class restaurant, Pho is always present on the Menu. 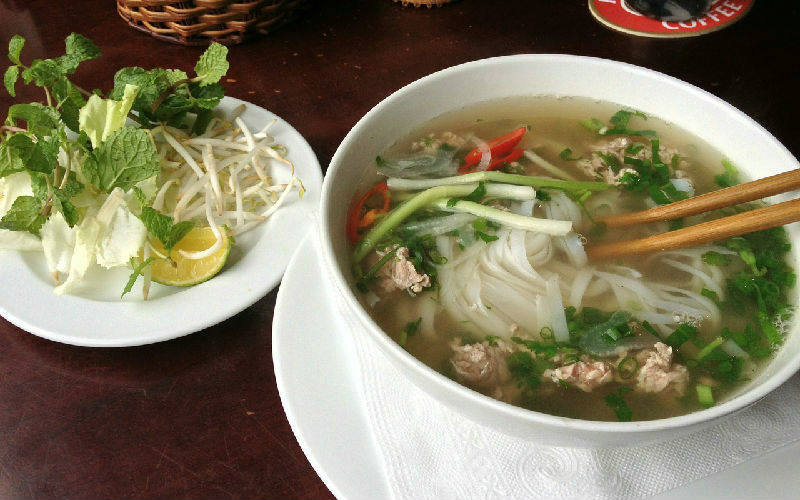 With its popularity, it is no wonder Pho is also a world cuisine. It is served with either beef or chicken. Depending on the meat available, there is also a list of sub-dishes. This can be a chicken thigh, chicken wing, beef brisket, or beef tenderloin. For an excellent tasting Pho, a clear stock, soft noodles, and fresh herbs are important. Another common meal which is available in the country, this simple dish originates from South Vietnam. You can get it any time but in the mornings, it is easier to find. 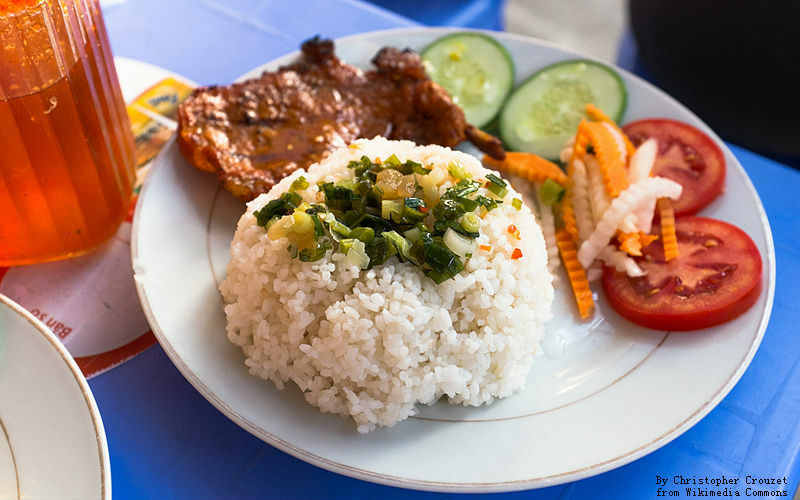 The dish consists of broken rice with toppings which include a combination of pork skin and thinly shredded pork along with grilled marinated pork chops. Other ingredients which are put on the meat are prawn paste cake, cucumber, pickled vegetables, and tomatoes in fine slices. 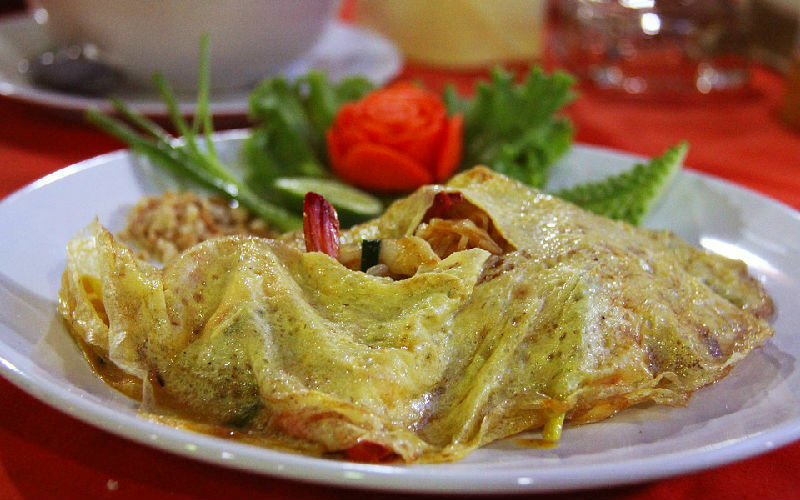 The prawn paste cake is made from grilled prawns, pork meatloaf with egg or steamed pork and egg custard. Known as sticky rice in English, 'glutinous rice' or 'Xoi' is easy to find in some of the local restaurants or food stalls in South East Asia. 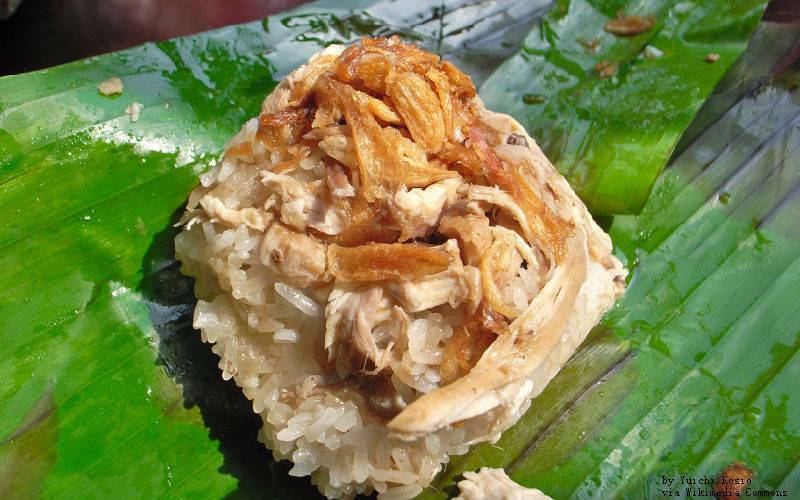 Since it provides a great amount of energy, Sticky rice is a common breakfast meal in Vietnam. There are can be various additions to the glutinous rice. This can be preserved eggs, fried eggs, pork, or chicken while it is mostly topped with dried shallots. The mixture of scallion oil, chicken meat, and sausage is one of the most popular combinations. If you are around the Ho Chi Minh city, there are lots of vendors who sell this dish. In the Hanoian capital, there is a street dedicated to Cha ca just to show how famous this dish is in the area. A visit to the Cha Ca La Vong which is located on this street is one of the best ways to enjoy Cha Ca. once inside, you can request for this meal which is served on a hot pan tableside. It contains morsels of fish with ginger, dill, turmeric, and garlic as seasoning. There are other places where you can get this excellent meal which include Duong Than. This place is located in the Hoan Kiem district of Hanoi and offers more affordable meals. 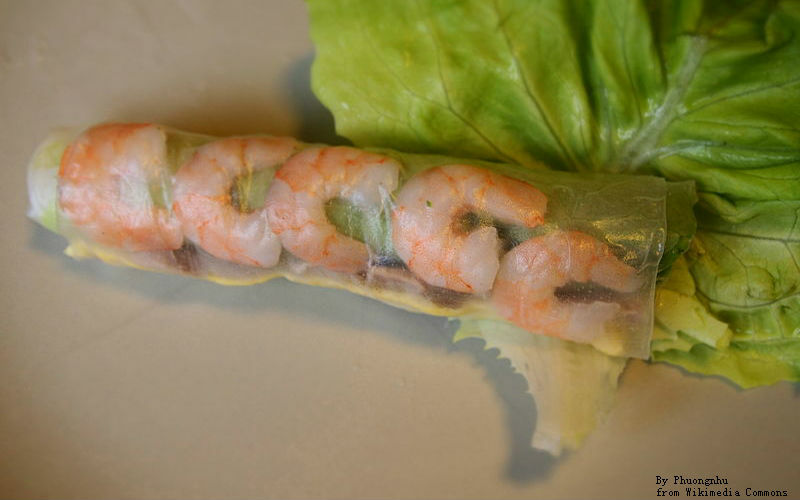 Proving its worth with excellent taste, spring rolls are very popular as a dish in Vietnam. The fillings of each spring roll often contain coriander, greens, and a mix of minced crab, pork, or shrimp in different combinations. There are certain areas where a bowl of mint or lettuce is served together with the spring rolls. 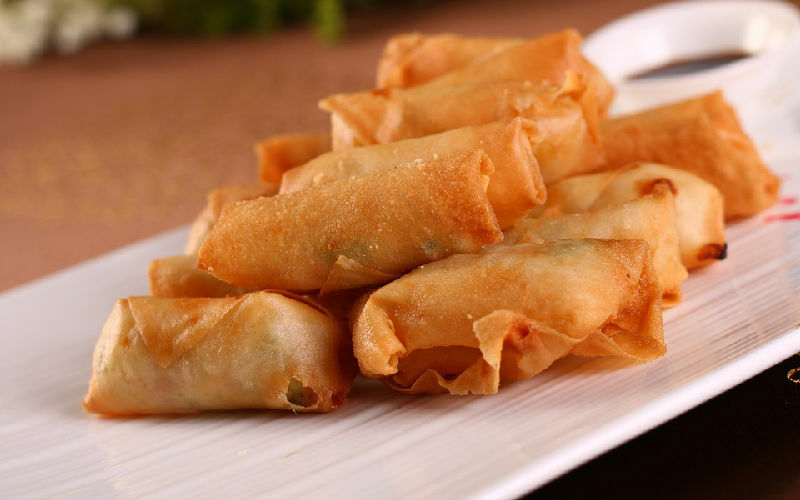 Another tasty variation of the spring roll is present in the southern parts of the country. This variation contains strips of barbecued pork with star fruit and banana wrappings before dipping in a peanut sauce. The sizzling cake derives its name from the sound it creates during the preparation. The local name is Banh Xeo and these large, great tasting pancakes are often crepe with bean sprouts, shrimp, and pork fillings. To give it the real feel of a Vietnamese dish, it also contains an embellishment of herbs. If you want to blend in and eat this dish in the same way as the locals, then roll up small slices into lettuce leaves or rice paper before dipping in the available sauce. 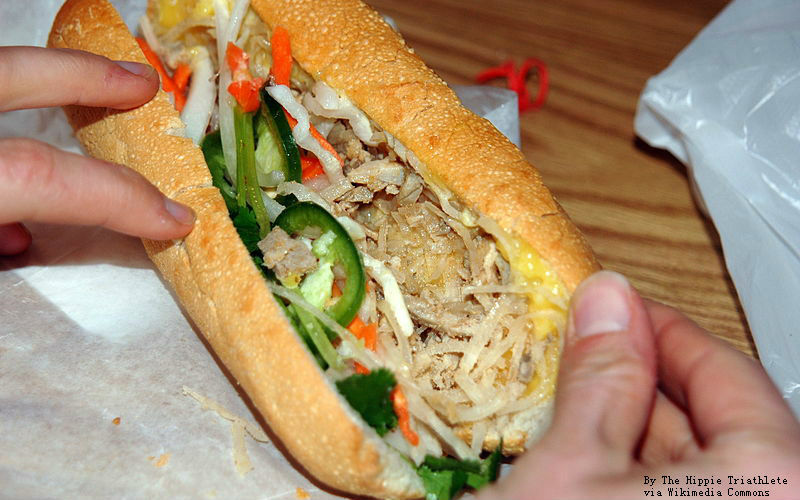 The baguette was introduced to Vietnam during the French colonial era. The banh mi is a food which is derived from the baguette with a few additions to make it a full Vietnamese cuisine. The additions differ based on the part of Vietnam where you are taking the meal. Chefs in the northern part of the country limit the changes to the meal and retain the protein, fat, and carbohydrates in the meal. On the other hand, in the southern parts, the chefs create banh mi with a mixture of pickled vegetables, fried egg, chili sauce, cheese, fresh cilantro, cold cuts, and sausage. 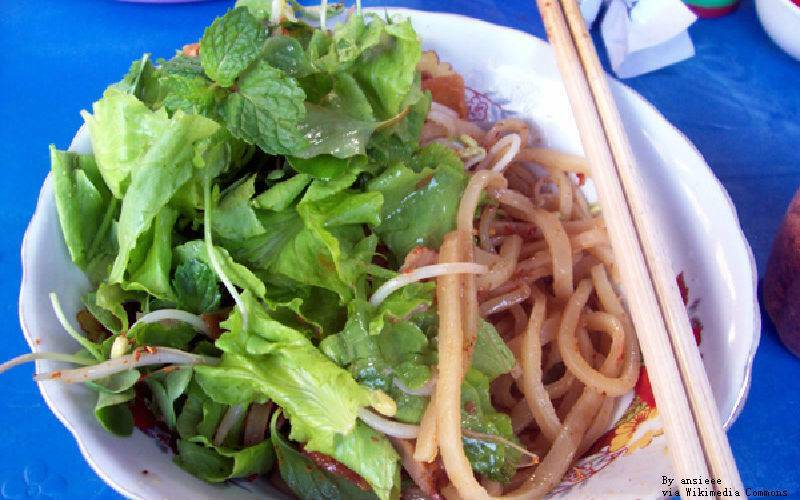 Originating from Hoi An, it is a pork noodle dish which also contains a touch of different cultures. It contains herbs and broth which give it a Vietnamese touch while it also contains won-ton crackers which give it the appearance of a Chinese dish along with thick noodles which are a lot like Japanese Udon. In the preparation of a true Cao Lau dish, the local Ba Le well is the only acceptable source of water. Since there is a healthier option, Goi Cuon, a lot of people overlook this form of Vietnamese spring roll. Cha Gio, as they are known in the south, or Nem ran in the north, have a filling which consists of meat and soft veggie which have been dipped in a tangy sauce. This filling is covered with a crispy shell. There are various ingredients which are options for the fillings including crab, minced pork, taro root, tofu, diced vegetables, or mashed jicama. 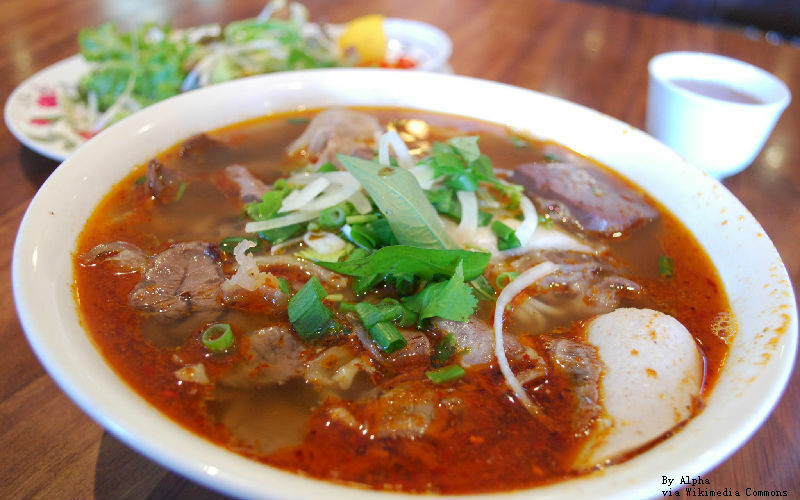 Another excellent dish which is a classic in Vietnam is Bun Bo Hue. It is also a popular option for anyone who loves soups. It is present in all parts of the country but there are different ways of preparing this soup which depends on location, South, Central, or Northern Vietnam. There is a look of sophistication and elegance to the dish when it is prepared using the Hue style. In Hue, the dish is available in the mornings and afternoon and is also easy to find as you walk along most of the small streets in the area. Start your glutton tour here! The best place to start your vietnam food tour is Hanoi and Ho Chi Minh. Reknown for their street food, you can find your stomach is alway full during your tour. Though You will easily find food vendors along the streets, it would be hard to find the most authentic by your self. Want to taste real Vietnamese food? UME Travel provides you an opportunity. See our most recommended customized Vietnam food tours, which combine must-see attractions in Vietnam with meals in carefully selected restaurants. Just follow us!